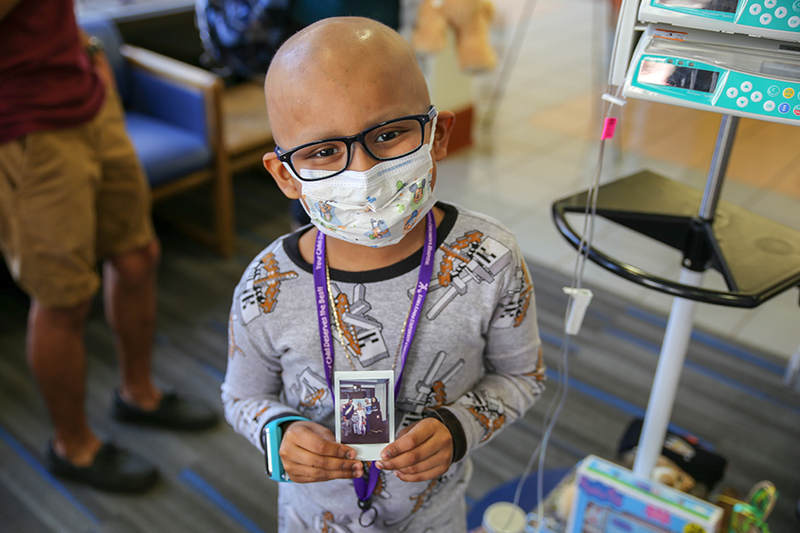 LLUCH patient, Edgar Rodriguez, 6, from San Jacinto, showing a photo of him and the Princess Spirit team. Booths were put on by the community for Luke’s Pride Spring Community Day, Thursday, May 17. Spring was in the air at Loma Linda University Children’s Hospital (LLUCH) as patients were treated to a day of interactive fun Thursday, May 17. The hospital lobby and Stater Bros. Activity Center were transformed for Luke’s Pride Spring Community Day, a fun patient diversionary event that allows local businesses, schools and organizations to come into the hospital and bring smiles to patients. This event was set up similarly to a community fair with activities, games and crafts for kids. During the event, LLUCH patient Edgar Rodriguez, 6, from San Jacinto, collected some new games from the Kappa Sigma Fraternity at California State University, San Bernardino (CSUSB). The event was coordinated through the LLUCH Foundation and child life services, which works to minimize fears and stress that children, adolescents and families experience during hospitalization. Child life specialists develop age appropriate activities for patients ranging in age from birth to young adult.